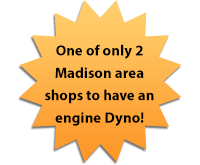 The experts at JRC Enterprises Auto Repair and Machine Shop are proud to provide total engine rebuilding services to drivers in Columbus, Wisconsin. Complete engine replacement services are also available. Our machine shop has the answer to all of your engine rebuilding needs. The skilled machinists we employ work on cars, trucks, watercraft, motorcycles, quad ATVs, and agricultural engines such as lawn tractors, field tractors, and mowers - just to name a few. Complete custom machining is done in-house for your convenience. Trust in us to provide you with a high-quality engine rebuild. To ensure your complete satisfaction and the effectiveness of your engine, we offer cleaning of engine components. This includes thermal cleaning and spray wash cleaning. Competition engine rebuilding, cylinder head work, and flow bench services are all available. 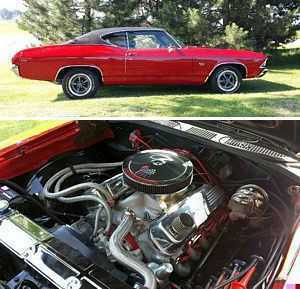 We also sell custom and performance parts, NOS parts, offer refills and component sales. Contact us in Columbus, Wisconsin, to see what our machine shop can help you with, from an engine replacement to a total rebuild. 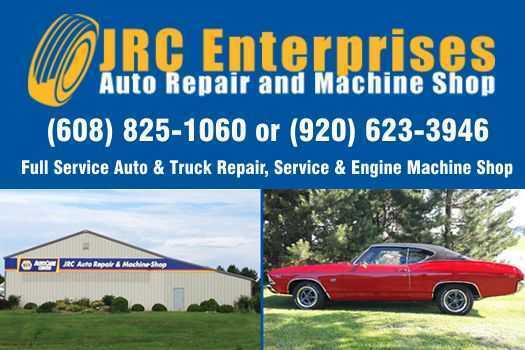 Page Summary: JRC Auto Repair and Machine Shop offers engine rebuilding, custom & performance parts, machine shop and machine shop near me. Services such as machining, automotive machine shop, engine machine shop as well as engine machine shop near me are also part of the scope of our business. We also specialize in modern machine shop, precision machining in Watertown, De Forest, Sun Prairie as well as Lodi. Other areas we serve include Waupun, Madison, Columbus WI and Mc Farland. We also service Waunakee, Beaver Dam and beyond.